If you need advice on investment property, finance, wealth creation, job search, business & marketing and immigration services talk to James Cagney. You do get the best advice from someone who has gained their knowledge through a lifetime of experience and not from a text book. James is an author and international public speaker and is prepared to help you achieve your business and personal goals. Click on any of the above, call James on +61 416 137 645 or send a message to James HERE. 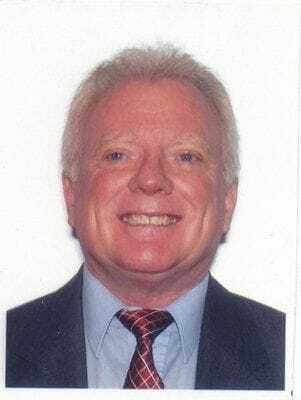 James Cagney (not the famous Hollywood actor, although many say he looks like him) is the founder of the International Immigration Alliance, the Australian Investment Property Network and Wealth Mentors. James was born and raised in South Africa and immigrated with his family to Australia in 1998. 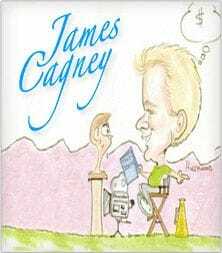 James Cagney is a Strategic Entrepreneur who maintains that you should only take advice from people who have achieved success in a specific field of endeavor. Otherwise they have not earned the right to give you advice. All they have is opinions based on their personal absolutely nothing. Henry Ford said "The only real security a man can have in this world is a reserve of knowledge, experience and ability". James and Gordon have all of these attributes to be able to help you to succeed. The world has plenty of poor academics.. Not much point having a heedful of knowledge and not applying it through ACTION. Always follow proven time tested PRINCIPLES and when these are frequently applied they end up as WISDOM. Make sure you take advice from "Wise" people. Diploma in Marketing Management and offers marketing and business advice, Internet marketing courses and services and networking opportunities. If you ar e interested in immigrating to Australia you need to get the best advice you can without spending exorbitant fees and charges. James recommends registered migration agent Gordon Clarke (MARN: 9579164) who has been a registered migration agent since 1995. He is the founder of and a member of the International Immigration Alliance (TM). Gordon has helped thousand of families to migrate to Australia. He has also been actively involved with the recruitment of high end executives into Australia. Gordon has an in-depth understanding of both permanent and business migration.. Gordon helped James and his family to migrate to Australia for which whole family are most grate full. In James opinion, many Australians Lawyers and Agents have never had the experience of immigrating themselves are not able to give you the personal advice you need to get through the anxiety, tough times and enjoy the benefits that Australia has to offer. Gordon Clarke assisted by Shelagh Cagney, who was awarded the Professional of the Year in Immigration Services by Worldwide Publishing in 2016. They are a formidable team and able to help you with your immigration plans. Click on the "Immigration" Icon to find out MORE. For a FREE eBook click on "The 7 Blunders immigrants make when arriving in a new country". Although this was written for Australia the "Blunders" are also relevant for New Zealand, Canada, the U.K. and USA. For more information on your eligibility to migrate to Australia click HERE . Finding the right job for many migrants is a daunting and challenging experience. Employers usually prefer "Australian experience" and "Australian qualifications" and you are at a distinct disadvantage if you do not know how to handle this. Obviously most migrants do not have this and are at a distinct disadvantage. To overcome this you should have done a Qualification Assessment by an industry body before arriving in Australia. If you have not contact us to arrange this for you. There are numerous industry "tickets", and other certificates needed to be able to take up employment in Australia e.g. Health and Safety, First Aid and many more .Find this out before you start looking for a job to avoid being turned down on an application. Resumes are very different in Australia to that required in other countries. The International Immigration Alliance Australia (IIAA) will give you advice based on the success of many of their migrants getting the job of their choice. Often lawyers and agents shy away from giving you this advice beyond the cold immigration law and regulation requirements but James and Gordon believe that assistance with getting the best job is an integral part of their services. Click on the "Jobs" icon above for MORE information and for a FREE eBook click on "The 7 Tactics immigrants can use to find the right job in Australia" . Although this was written for the Australian job market the "Tactics" are also relevant for New Zealand, Canada, the U.K. and USA. Fore more information on how to secure a job in Australia click HERE.for more advice. When asking for investment property advice, ensure you only take advice from someone who has more property and / or assets than you have and has had over ten years experience in a specific market. Only these investors have earned the right to give you advice. Unfortunately, most people take advice from family, friends and colleagues who often have very little experience and knowledge about property but do have plenty of "opinions". James Cagney is a licensed Real Estate Agent and personally has multiple properties in Australia and believes he has earned that right to give you advice about investing in property. James has access to properties around Australia and If you are interested in investing in property go to the video at the bottom of this page OR click on the "Property" icon above. 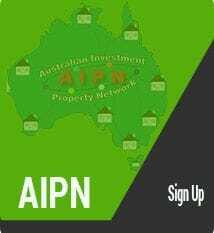 Information about joining the Australian Investment Property Network is contained in the video. For a copy of our FREE eBooks click on both "The 7 Pitfalls to avoid when buying an investment property". and "The 7 Secrets of profitable property investors". . Although these were written for Australia the "Pitfalls" and the "Secrets" are also relevant for New Zealand, Canada, the U.K. and USA. To find out more about your opportunity to invest in Australia click HERE. For more information on the Australian Investment Property Network scroll to the bottom of this page or click VIDEO. The mortgage market is very complex today and if you are looking for a loan to purchase a property OR you have not reviewed your mortgage in the last six months you could be losing a lot of money and making the banks rich. 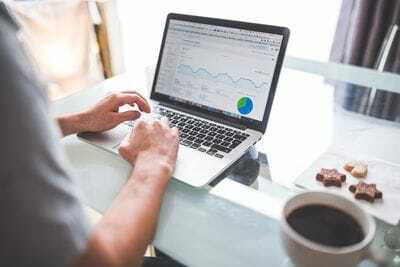 Most people are over concerned about the interest rate, which is important, but how you structure your mortgage is far more important than the interest rate. Structure alone will save you tens of thousands of dollars per year and hundreds of thousands over the life of the loan. We will help you pay your home loan off quicker and increase your wealth. 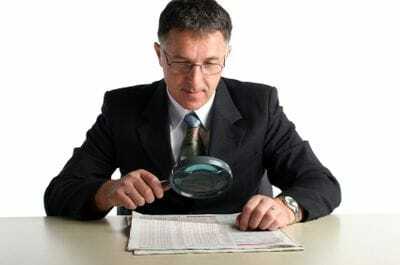 We will show you how to beat the banks who are only interest in tying up your home through cross scrutinizing it with your investment properties when you invest through their "All monies clause". We offer you a free, no obligation "Financial Health Check" and "Mortgage Review". In addition we offer $1000 cash gift to you if we are unable to help you prepare for your financial future. You have to admit that is a bold offer and shows the confidence we have in our services. 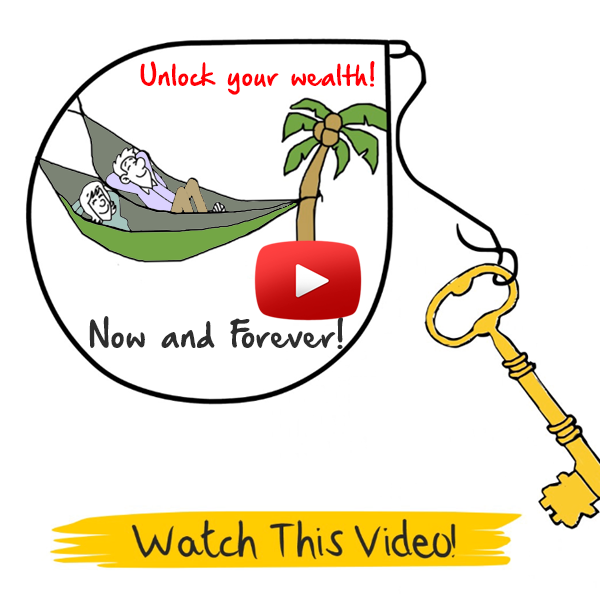 If you are interested in a financial health check or advice on how to reduce your current mortgage click on the "Finance" icon on the left or click HERE .For a copy of our FREE eBook click on "The 7 Pillars of Financial Freedom". If you are interested in increasing your wealth you need to take advice from people who are wealthy. Unfortunately many of your friends and family want to try and protect you from making mistakes and the only way they know how to do this is tell you to do nothing! Not good advice because taking that advice will only make you broke now and into retirement. Others are just plain jealous that you have the courage to do something about your own future and try to drag you down with negative advice and relating misleading stories they have read or seen in the newspapers and on television scare shows. They just want you to be like them.... following "The Herd" - moving slowly and meaninglessly towards a miserable retirement. Don't listen to them! Even if you have previously invested and you have not made good money over the years. Take advice from entrepreneur and movie actor Will Rogers who said "Even if you are on the right track, you'll get run over if you just sit there". If you have not been so fortunate to make money do not throw in the towel and give up For a FREE copy of then eBook click "Develop the mind-set of the Wealthy" . Or click on the "Wealth" icon or the left or HERE to find out more. If you are interested in creating a successful business in Australia our network of experienced professionals will guide you to achieve your goals and objectives. 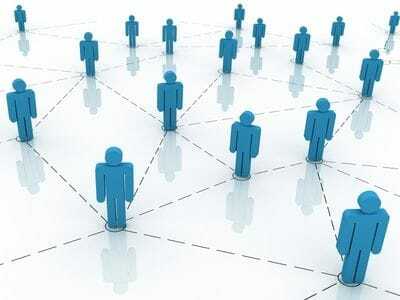 Robert Kiyosaki, the author of 'Rich Dad, Poor Dad' said "The richest people in the world look for and build networks. Everyone else looks for work". Great advice and it is imperative for you to choose to live your life with "lifestyle and dignity" rather than being "broke, embarrassed and ashamed" and living off the charity of the government, family and friends now and into retirement. Successful business people know the value of ongoing education and the best advice right from the start up of a business. Contact the "Integrity Business Network" or be prepared to suffer the consequences of a failed business. For a FREE copy of the eBook click on "How to find ideas and market them successfully" . Our purpose is to help business owners increase sales and profitability. Utilising ethical networks, skillful marketing techniques and innovative technology, we present opportunities for maximum on line exposure. Be mentored by successful entrepreneurs who turn problems into sustainable solutions. Click on this Icon on the left or click HERE to find out more about how we can help you start a business and how to continue to make your business profitable. If you want insight into what is happening in real estate, immigration, business society and / or politics in Australia, you can go to these articles that James has written on the subject. Some of these articles will be hair-raising and controversial so please take time to go to this page NOW or just ignore them at your own peril. For a realistic and practical view on the Australian property market and not the biased opinions of slick sales people. property spruikers and property developers click HERE . There are several FREE eBooks for you as well on this page. Do it NOW because.....procrastination is the biggest cause of failure and "One....of these days"..... is....."None....of these days". If you want to read the numerous TESTIMONIALS that people have wrote about James Cagney click.....HERE . This is not financial or immigration advice. You should not act solely on the basis of the material contained on this website. Changes in immigration and finance legislation and regulations occur frequently and without prior notice. Property Cycles are subject to frequent change so information herein are general comments only and do not constitute or convey advice per SE.